"'Give me the authority and let me have my pick of 300 men and I'll make this country as dry as it is humanly possible to get it,' she said without the slightest trace of braggadocio. 'There's one way it can be done: get at the source of supply. I know them, I have no patience with this policy of going after the hip-pocket and speakeasy cases. That's like trying to dry up the Atlantic ocean with a blotter.'" When Mrs. Willebrandt stepped down some seven years after this article went to press, she questioned the willingness of the nation's law enforcement agencies to see the job through. "I am dry politically and personally, but I am not a fanatic on the subject." Seven years after wine and spirits were banished from the land, the government in Washington felt pressured to discipline all those restaurateurs who failed to defenestrate their patrons who brought illicit drink into their establishments. This is an article about how an attempt was made to get restaurant owners to police their customers. "Now the people can decide, after more than thirteen years of Prohibition." "Surprising the country, the lame-duck Congress, hereto staunchly dry, reverses itself 'in a stampede toward repeal,' to permit the people to decide Prohibition's fate." "When you drink bootleg the chances are better than nine out of ten that you are drinking rank poison." "This is not the statement issued either by Prohibitionists to discourage drinking, or by a Anti-Prohibitionist to show what Prohibition has brought us to. It is the conclusion of a large newspaper service, which had it's men in various parts of the country buy the 'ordinary mine-run of bootleg liquor', and then had the samples analyzed to get an idea of what a man's chances are of getting poisonous booze." 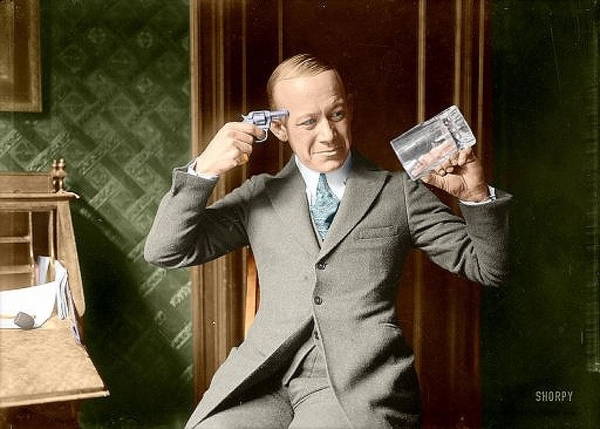 Click here to read about President Woodrow Wilson and his wish to re-write the post-war Prohibition restrictions.